Not A SINGLE sailor moon crystal wallapaper in the whole site? Guess I'll be the first then. even though She ends up being quite useless pretty fast, as she is in the original manga, despite acting like a badass every single episode she appears before getting herself killed the stupidest way ever. , and ended up vectoring her, from 2 different refferences. as I thought the wall would look empty with just her, I added sailor moon. 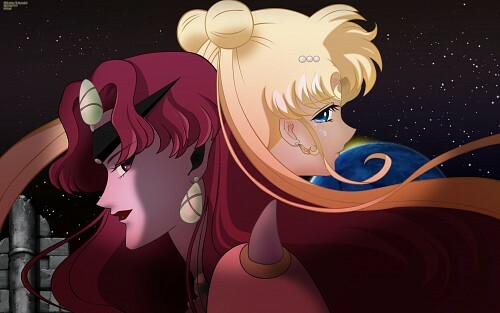 but it looked weird... so I turned sailor moon into princess serenity, and added some elements from the destructed moon kingdom, as to symbolize it's destruction. And I actually liked the result.